Ever seen an alpaca and been intrigued? Now's your chance to get up close to them. Being around our boys and girls brings us so much pleasure that we would like to share the "feel good" factor that they can impart to your life. Click on the experience you are interested in to find out more. For more information about and to book parties,walks, talks or visits click here. SimplyAlpaca are proud to host a Family Fun Day for James. "Hello, my name is James, I am 15 years old and have Asperger's, a lifelong condition that has presented me with many challenges. I am fundraising for a Camps International trip to Tanzania in 2020 to work in communities needing schools for their children, clinics, clean water supplies and conservation help. 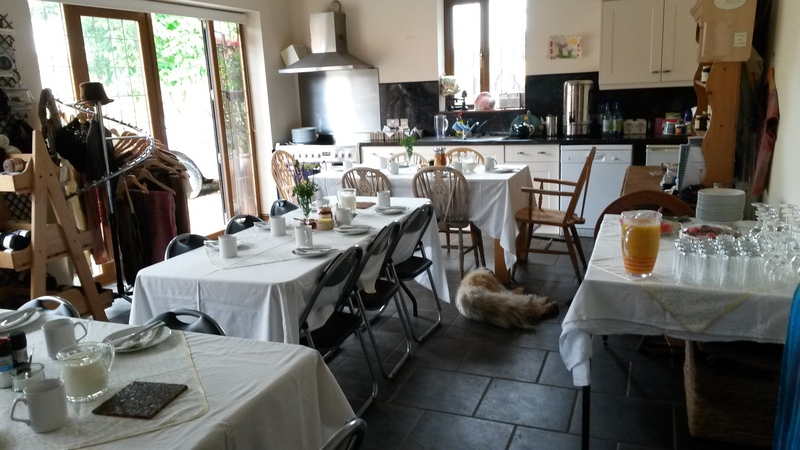 Please come to my amily Fundraiser Day on Sunday 7th April at SimplyAlpaca in Flyford Flavell from 11am to 4pm and help me to help others less fortunate than myself." 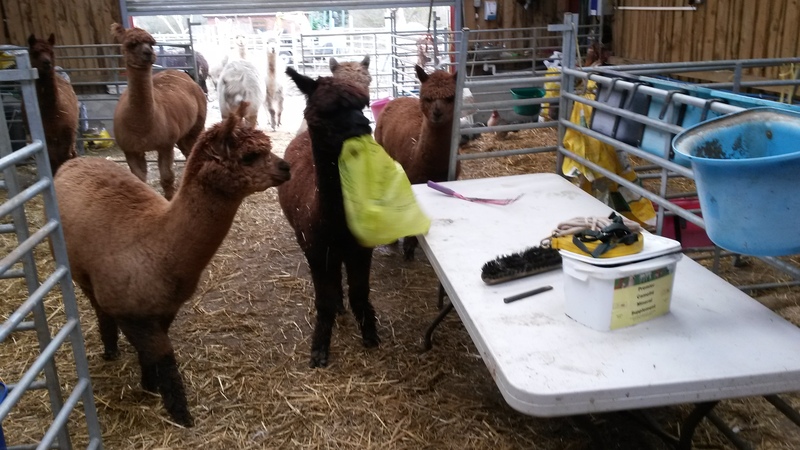 James's attractions at the moment include tombola, book stall, face painting, refreshments, hand made crafts, make and take sessions and of course meet the alpacas!!! 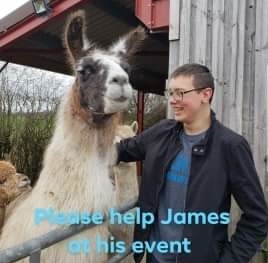 Please help to make this day a succss for James. Interested in finding out a little more about these beautiful animals. Come and enjoy our animals on the edge of the Cotswolds and take the opportunity to get up close to these captivating creatures. This half day experience will give you some insight into their history, care requirements and what it feels like to be with them. Stuck for original birthday party ideas? Children's Alpaca Parties are celebration parties with a difference. A never to be forgotten experience of getting up close to the alpacas with an opportunity to stroke and handle them. They aren't just for children either making for a very special event at any age! 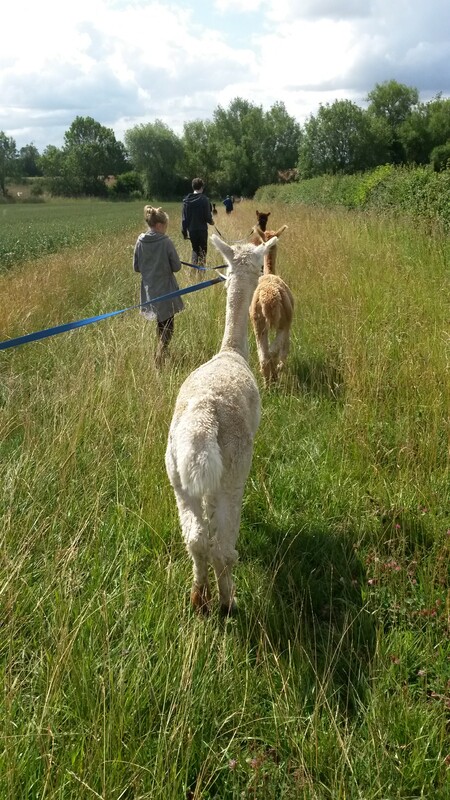 Walking with Alpacas - are you sure? Absolutely! These are naturally curious animals and given the opportunity to get out and about they love to nibble at new and interesting greenery (non-poisonous obviously), see new places and enjoy some different terrain. They're not that much different to us and like a break from the norm. We are also available to come to your meeting. We are able to bring laptop, projecter, screen and extension cable plus examples of our fleece products.